On Dining Out in Japan | 外食と義理 | This Japanese Life. Posted on November 2, 2010	by E.
When it came time to ask for the bill, I couldn’t do it. I sat, and I waited. And then, 10 minutes into waiting, it hit me: I will never stop being American. In Japan, in contrast, you shout “Excuse me!” (sumimasen) when you need something. On the plus side, waiters never interrupt a patron’s punchline to ask if anyone needs refills. They hang out in the kitchen. You also pay when you’re ready – just take the bill to the front register. In a sense, the system is ideal for the patrons and the waiters. The waiter gets to chill out. Patrons get what they want when they need it. 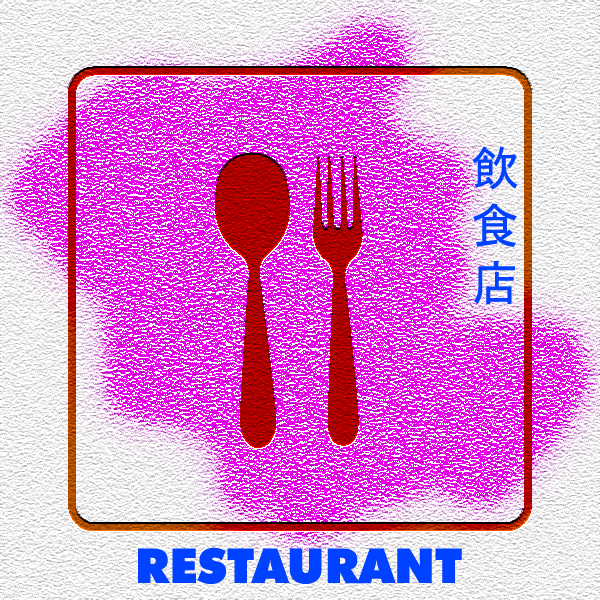 Ordering food in a Japanese restaurant is pretty straightforward. But for certain kinds of Americans – passive, laid back apologists who don’t talk on trains and over think to nearly catastrophic degrees (i.e., “wimps”)(i.e., “me”) – that curry comes with a cultural crisis. There was no good reason for me to wait so long for the bill. I knew it was just one “Sumimasen!” away. And yet, I couldn’t bring myself to shout for an absent, unseen waiter. I didn’t want to interrupt him. So I waited until he came out to serve someone else and then hesitantly nodded. That’s how I asked for everything that day. As a result, I spent 2 and a half hours in a restaurant. A waiter is obligated to serve patrons. It’s the job. And she expects, when she shows up to work, that she will do that job. The waitress has a role. This is how customer-server relationships work in Japan. You have your personality, but you sublimate it into the goal of your work. Notably, Japanese waiters don’t tell you their names. And leaving a tip is a faux pas. Ninjo is the opposite of Giri. It’s when human emotions conflict with social obligations. Ninjo is calling in sick because you want to sleep late. It’s quitting your job because ‘you don’t feel fulfilled’. In other words, it’s America. In Japan, ninjo complements giri. There’s a struggle between individual wants and social needs. As an American in a Japanese restaurant, I am so infused with ninjo over giri that I can’t bring myself to call the waiter. I am paralyzed by the cultural baggage of individualism: The need to recognize waiters, bus drivers, convenience store clerks and students as people. I try to be polite. America defines politeness in certain terms: “Don’t shout at the waiter. They are people, too.” And when that imperative value to respect individuality and reject hierarchy meets the imperative value to allow someone the honor of performing their social obligation, there’s a crisis. I want to be polite. Social obligation requires me to be – subjectively – rude. The ingrained, live-with-myself problem of shouting for a waiter or waitress exists solely in my skull. For everyone else, it’s just what happens, every day, hundreds of times. No one shouts angrily. They just shout. Shouting doesn’t come with American connotations of shortness, impatience, demand. It’s just louder talking. They need to hear you, after all. But culture sneaks inside of us. We build personalities in reaction to cultural practices so early that we forget that it was all constructed in the first place. We mistake architecture for instinct. It isn’t all bad – no one should feel guilty about rejecting 14-year-old prostitutes in Thailand, or genital mutilation of young African girls. We ought to instinctively revile certain social architectures. But even in the most cosmopolitan and enlightened minds, tiny details can spawn paralysis. What you thought was a self-made individual is in fact molded by arbitrary practices that just happened to surround you at birth. Your brain runs certain programs on American software and you are rendered deeply incompatible with other systems. * For example, chocolate that females give to their male boss on Valentine’s Day carries the ever-so-romantic name of Giri-Choko, literally, “obligatory chocolate.” Everyone calls it this, and no one seems to mind. When you want to express your true feelings, you purchase honmei-choko, literally, “true feelings chocolate.” For such an ambiguous culture, at least buying chocolate is straightforward. This entry was posted in Culture Shock, Food, Uncategorized. Bookmark the permalink. Nice post! I also had problems with the whole raising my voice to get the waiter thing…but my reluctance was also partly caused by the fact that I have a hard time raising my voice no matter where I am. Anyway, appreciated your thoughts on giri and ninjo. Well said. Hmm, maybe it’s a regional thing. When I get a refill of water, the waiter/waitress never says a word. They’re prompt and attentive, but they never talk. Nice post, Eryk. I think it depends on the place. I think a lot of servers won’t refill your glass unless you ask, but some do. Yeah, like Blue Shoe said, I think it depends on the place too – don’t really think it’s a regional thing at all since this has happened to me in various places. Some places won’t refill water at all and you have to call out to them just for some water… but then like I said, there are various other places where they rush up to the table if they see your water glass nearly empty. But then of course there are also the places that allow you to get your own refills… In any case, my husband often asks for a pitcher at our table (at places we’ve been before and know there are pitchers there) so we can just refill our own glasses without interrupted conversation. Well, I get plenty of refills, but the difference is that I rarely get asked if I want a refill. The waiter either comes over and fills the glass, or waits for me to ask him to. There’s none of this coming-to-the-table-and-asking-how-everything-is stuff, no checking in to see if you want anything else, no chatty talk, etc. And when I get water, I never get interrupted by being asked if I want the water. The guy comes over and fills the glass before I can even say no, 9 times out of 10. I didn’t mean to imply that they are inattentive, just that the structure is different. I feel awkward about sumimasenning sometimes still. Have you perfected the nasally pitch? I got a lot of practice when I thought the shopkeepers were yelling “Sumimasen” instead of “Irrashimasen.” After about three days of impersonation I think I have it down.